E.C. Schirmer Publishing has publications that span all genres of classical and sacred music, with a specialty in choral music. E.C. 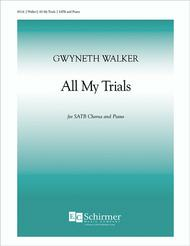 Schirmer has a variety of materials for choir, organ, solo instruments, orchestra, band, piano, voice, opera, and handbells. The core catalog includes notable composers Randall Thompson, David Conte, Gwyneth Walker, and Daniel Pinkham.